← Kylie Minogue: The Only Normal Pop Star! The last three months have been a whirlwind. Blog posts should return to a normal pace for now. The explanation is explained below. After being contacted via the 2020k Soundcloud page by Afton Live in regards to doing a few live shows in the Pittsburgh, Pennsylvania area, it was a possibility too grand to hesitate on and one that was taken with not even an hour’s worth of contemplation. 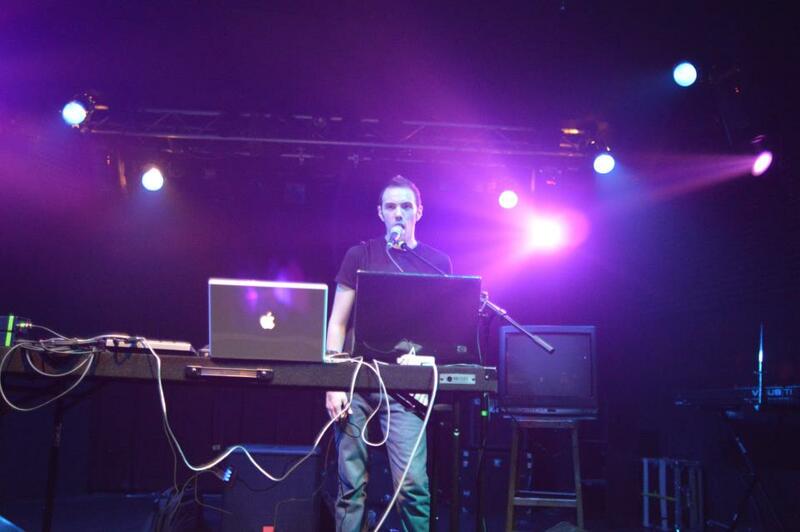 The first show was scheduled for July 12th, 2012 which gave me 48 days to round up thirty minutes of material from my catalog that would be re-worked, re-mixed, and presented live in front of an audience. Though fun, the majority of the work was done on my own so the process was grueling at times. In fact, could be interpreted as a combination of some of the most introverted and stressful, but focused and creative moments of my life. To start, the actual highs of putting together the show started when I was able to explore different creative territory not taken in past endeavors. 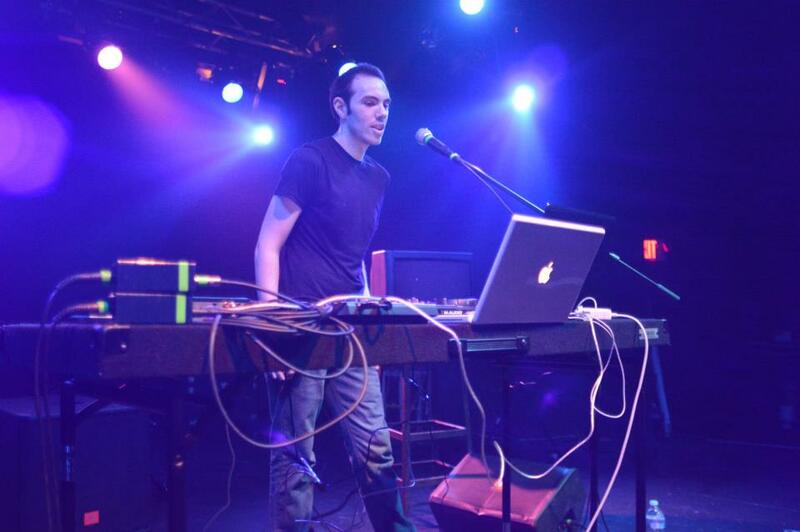 An MPD-18 MIDI Controller was purchased as a means to incorporate a live feel for myself in the studio and on stage. Three music videos were produced using public domain/stock footage from Archive.org (you can see two them on my YouTube page: here and here.). Interestingly enough, rigging up Ableton Live to communicate with the MIDI controller, M-Audio eKeys, and M-Audio Xponent Digital Turntables using Propellerhead Re-wire and really getting into the programming, as well as the editing process of the videos were some of the most rewarding parts of the time taken to prep the show. The lows? Time constraint. 48 days to revamp everything and put all of the new content together is a lot of work, especially when 48 hours a week are dedicated to a customer service day job. Imagine putting together what you read in the aforementioned paragraph, then compose three new songs on top of that in the same time frame. Yes, you read that right. Three new songs were written, composed, engineered, and produced from scratch via Logic Pro in just a little over the month, then mixed in Pro Tools, in combination with the technical aspects of show time. “Contagion,” “Pantomime,” and a take on Blink-182’s “Adam’s Song” were all dreamt and put together specifically to present to a live audience. The creativity was a curse at times, but such a pleasant and accomplishing feeling to have the ability to generate so much of myself into all of these projects. Intriguingly enough, though there were complications with the presentation of the visuals (which were shown on stage via a large laptop monitor, as opposed to an old 32″ Television – the original intention) the first show went off without a hitch and was met with an extremely warm crowd response. There were claps, yells, a few new fans singing along, and a level of appreciation felt on stage cannot be expressed. In fact, speaking from a purely emotional standpoint, performing on stage on July 12th and feeling the interaction from artist to fan was one of the most rewarding and liberating aspects of life that has been experienced by myself, period. Then it was over, and out of the 50 physical EPs that were freely distributed at the show (30 out of the 50 came with limited edition free stickers), over half of them were snatched up by audience members and several individuals came up to me after the show to inquire on how to get a copy of the disc. Artists Shutterdown and Allen Time, who I shared the stage with that night, were also extremely welcoming, with Shutterdown offering to possibly have me open shows on some of their future tour dates if the opportunity should rise. Afton Shows sent an email exactly one week after the first show to inquire about doing a second set at the same venue. This time, the setlist would be 40 minutes, as opposed to 30. Statistics were built upon surveying the general interest of another set and was asked among my personal Facebook page, with a bunch of likes and text messages that would follow and enthusiastically ask when the show would be. My reply a few days later was set in stone: August 19th, 2012. 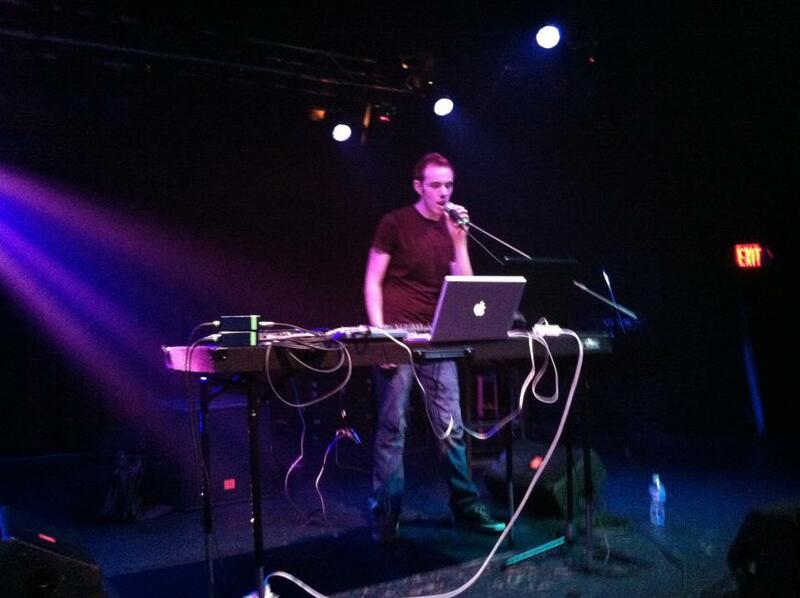 The August show was an interesting show because myself and another Electronic artist were booked for a Rap show. We were the last two acts to go on and because of it, suffered time constraints which caused the 2020k set to be cut six minutes short (I’m unsure about the other artist). Beforehand, Afton did not answer any of my e-mails about what time my set was so that I could inform the friends and fans who were coming. Six emails were sent out. Six. This was the moment when I felt a function of the marketing and promotion of my show going a bit haywire and to make matters worse, there was nothing I could do about it. The thing about first starting out as a musician is that you have fans, but the majority of the individuals who come out to see your set list are your friends. So, of course, your friends like to know things like your set time and a bit of what you’re up to on the day of the show. With the July show, everything was organized. I kept the Facebook event page up to date, Tweets, Instagrams, and of course, personal messages. Afton also kept in contact with me for the first show because of the amount of people who were coming to support me as an act, so my set time was told to me days in advance to the appreciation of those individuals attending the show. Going into the second show and given the information in the aforementioned paragraphs, it was suspected that given the show was on a Sunday and was scheduled not even a month after the first one, the public support for the 2020k portion of the show would be a bit slimmer than the first show. And it was true. Nearly 30 people bought tickets to the debut live performance of my material, and the number dipped slightly, not drastically, for the second night. As an unsigned artist, just beginning touring, it’s an expectation. This is not Afton’s fault. A quick Google on Afton will take you to their official website, some decent reviews about them, and a lot of skepticism and downright vulturous, negative reviews. My opinion? From a business standpoint, it’s not a bad option to take as a starting musician and is ultimately what you make of it. The reason I decided it was a good bet to take the shows with this particular booking agency was because I knew that there was enough demand for people and fans elsewhere to see what I do represented in a live form. Would this sort of show work for five or six nights? No. With a bit of word of mouth and promotional spread? Probably. This is why when Afton offered me a third show in September, I turned it down until further business explorations could be explored. That’s not to say there won’t be any more live 2020k sets. There will be. Using Afton was a platform for a learning experience for the good and the bad of live performance and the knowledge gained from playing Rex Theater the past two months has a profound impact on the direction of a lot of future business and artistic decisions. Live shows or venues where there is already a small draw of people to feed off of would be appealing, currently. Also, $12 online ticket price and $13 door price is currently a bit high to keep charging the small amount of supporters that I cherish so much. Free shows or a lower cover? Definitely ideal. These are just some of the options I’m exploring. For now? A huge thank you to the individuals who helped put the show together, the people who came to the shows, the ones who staffed the events, and the supporters who were unable to make it (especially to Gary Clark). With great pleasure, there’s a presentation in the form of a feature and an interview with me on this entire process over at Open ‘Til Midnight’s blog, which is operated and ran by Amber Waves. It is with this thanks that I’m proud to be releasing an EP demo of four songs that were played during the live shows. This EP was handed out for free physically, so, on Bandcamp, where it is released, it is available to all of you for a name your own price scale. It’s available now! You can stream, download, and purchase 2020k – 2020k EP in a plethora of formats at Bandcamp.com via clicking here! Show cut short by venue due to various set timing issues. Special Thank you: Jared VanMarte aka Kinesthetiac, Roy Hessels, Natalie Zigarovich, Danielle Sethman, Amber Waves, Aneesh Ratan, Kristen Adams, Lauren Karell, Ashley Weinman, Adam Burns, Josh Bruener, Amanda Conary, Devan Monroe, Afton Shows, my family, and especially to you. Photo credits in this article: Kristen Adams, Scott Allen Stafford. This entry was posted in 2020k Music, Music Business, Personal, Tour and tagged 2020k, 2020k EP, 2020k live, Ableton Live, Afton Live, Allen Time, Amber Waves, Gary Clark, Kinesthetiac, Logic, M-Audio eKeys, M-Audio Xponent, MPD 18, Pro Tools, Propellerhead Re-Wire, Rex Theater, Roy Hessels, Shutterdown. Bookmark the permalink. I am looking forward to doing up a proper review of your EP soon! I also look forward to your superstar tour where I get to brag about knowing you and head backstage. If anyone has the dedication and level-head to make it in a business that can be perplexing at best and unforgiving at worst, it’s you. Aside: Piece of Me is still my fave remix you’ve done. It’s just so brilliant and unexpected (Trent Reznor and Britney Spears!). I’ve learn a few good stuff here. Certainly value bookmarking for revisiting. I surprise how much effort you set to create such a fantastic informative site. thigs oor advice. Pehaps yyou cann rite nexzt artices refsrring tto thks article. Ι wosh too гead eeven moee thinngs ɑbout it!